Flipping a house can be a profitable endeavor—especially in cities where flips thrive. The best cities, according to recently released findings from a study by WalletHub, boast a combination of a desirable quality of life, cost-effective renovation expenses and prime market potential. 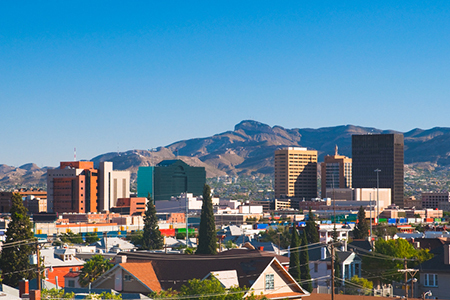 El Paso earned the No. 1 ranking in WalletHub’s study, with a total score of 69.6. El Paso has the third-lowest bathroom remodeling costs, on average, of the 150 cities evaluated. Sioux Falls earned the No. 2 spot in the ranking, with a total score of 69.52. Fort Wayne earned the No. 3 spot in the ranking, with a total score of 67.38. Peoria earned the No. 4 spot in the ranking, with a total score of 66.6. Peoria has the fourth-lowest whole-home remodeling costs, on average, of the 150 cities evaluated. Oklahoma City earned the No. 5 spot in the ranking, with a total score of 66.56. Oklahoma City has the fifth-most real estate agents per capita of the 150 cities evaluated.